We are happy to announce that GoPro has achived Cyber Essentials certification. 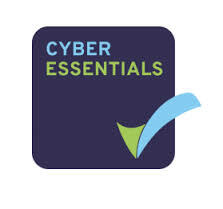 The Cyber Essentials Scheme has been developed by UK government and industry in order to provide a sound foundation of cyber hygiene measures, in order to significantly reduce an organisation’s vulnerability and mitigate the risks from internet-based threats. The Cyber Essential Sheme covers the core requirements for firewalls and Internet gateways, security configuration, user access controls, malware and patch management. Systems that fall within the scope of the Cyber Essentials Scheme include devices such as PCs, laptops and mobile devices, as well as email, Web and application services and Internet-based services. By successfully certifying against the Cyber Essentials Scheme, GoPro has demonstrated that we have implemented measures to lower the risk of serious data and financial loss, as well as demonstrate to our customers we have taken steps to be fundamentally cyber safe.